Shankham" comes from the two Sanskrit words "Shum" which means something good and the "Kham" meaning water. 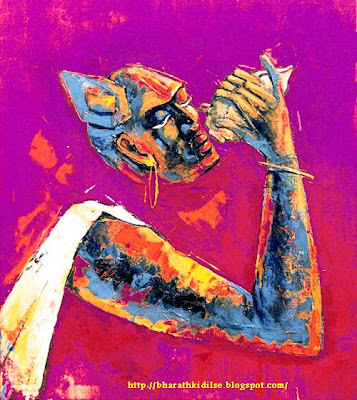 Hence the meaning of "Shankam" is "The conch holding the sacred water". As the story goes, the demon Shankhaasura defeated devas, the Vedas and went to the bottom of the ocean. The devas appealed to Lord Vishnu for help. He incarnated as Matsya Avataara - the "fish incarnation" and killed Shankhaasura. The Lord blew the conch-shaped bone of his ear and head. The Om sound emanated, from which emerged the Vedas. Shankhe tisthanti viprendra tasmat shankham prapoojyayet"
The conch-shell is said to be the preserve of several gods and goddesses: Brahma on the seat (shankhapitha or shankhadhara), Surya in the middle and Chandra at the tip. On the right side are seated Aditya, varuna, Soma, Vayu and Agni. Shankha is presided over by the twin gods Sun and Moon, and Varuna is it’s deity; at the back of the conch-shell is Prajapati, and in front the river goddesses Ganga and Sarasvati. So even to look at a conch-shell, or to touch it, would mean eradication of sins, like darkness disappearing on sunrise. The shankha is one of the four attributes that Vishnu holds in his hands. Hence the Shankha should be worshiped. 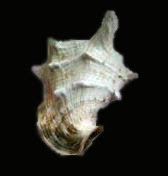 According to Tantric belief, the shankha keeps away evil spirits and saves one from calamities. 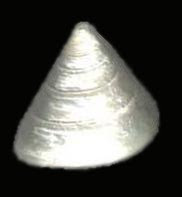 Anga Lagnam Manushyanam Mruthyu Samsara Bheshajam"
The special geometry of a natural shankha creates a positive energy field and so they are used as Yantras. Some astrologers also recommend the types of shankha and the location where these are to be placed to control negative planetary effects. Different methods of worshipping the shankhas are also described in the Indian scriptures for benefits varying from wealth, success and peace of mind to health, healing and hypnotism. The blowing of a Vaamavarti shankha removes the ill effects of negative energies and it purifies our surroundings and soul. From the ancient scriptures we find there were two types of Dakshinmukhi Sankhas—one is male or Rurusa and the other is female Scankhinii distinguishable with its characteristic variations. The purusa got a thicker crust than the finer Sankhini. Kauri Shankha is a very rare shankha which when kept in your house can bring all luck and prosperity. It is said since ancient times that the possession of Kauris is considered to bring wealth and all round prosperity. That is the reason why it was a part of the marriage attire of the brides. Kauri is a rare sacred product found in the ocean. As per Hindu mythology, "Kauri" was obtained from "Samudra Manthan" along with "Lakshmi" and other rare divine and holy products. From a very ancient time "Kauri" was used as the currency and then was used in the ornaments and also used as the key of gambling. As per Hindu Shastras, "Kauri" is said to be the loving product of "Maha Lakshmi". It is also related to Lord Shiva because the hairs of Lord Shiva are similar to "Kauri". Indians also use "Kauri" to decorate Nandi, the devotee of Lord Shiva. It is also said to be a great tool to save the children from devil effects. Kauri Shankha is more powerful than kauris because it is a shankha plus a Kauri. This shankha is usually kept in the cash box for financial prosperity and to protect the owner from a financial debacles. Whoever keeps a "Kauri Shankha" during the prayer of "Goddess Lakshmi", gets blessings and gains success, prosperity, wealth and fame in life. The person blowing the conch should raise his neck upwards (towards God) and fully concentrate on the task at hand. When blowing the conch, the eyes should be closed and a spiritual emotion should be nurtured that one is beckoning the subtler frequencies of the unmanifest, destroyer form of God'. This posture activates the Sushumnanadi (Central Channel) in the body of the conch-blower. It also helps in maintaining a perfect balance between the raja-tama particles in the frequencies related to the absolute air and absolute fire elements that emanate from the mouth. 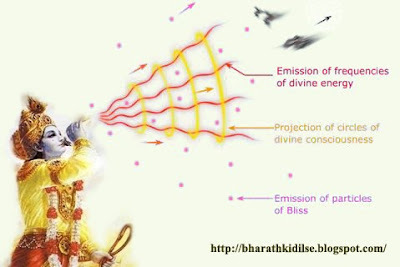 Thus, as per the requirement - the saviour and destroyer principles of the Deity get activated. Manifestation of negative energies due to the sound of the conch: Due to the sound energy generated by blowing the conch, subtler frequencies flowing down from the universe get activated. They cause disintegration of raja-tama particles in the atmosphere within a short time. Due to the momentum of frequencies of sound energy emanating from the conch, there is friction between raja–tama particles, resulting in subtle flames. As a result the sheath around the aerial bodies of negative energies starts to burn. That is why negative energies are unable to tolerate the sound of a conch. They are compelled to manifest because of this sound. However, some of the more powerful sorcerers from the negative subtle region pretend to be unaffected, despite the distress caused by the sound of the conch! Leaving aside the mythology part, the conch shell's significance can also be corroborated by science. If you try holding a shankha near your ear, the sound of the gently humming ocean can be heard. This is actually the natural vibration or cosmic energy of the Earth which gets magnified on entering the conch shell. How to place Vamavarti Shankha in Pooja Ghar? which direction? narrow part in front or the other way? Thanks a lot. How to perform a pooja for a Gaumukhi Shankha in the house? Can women blow conch shell? As per my knowledge, a woman should not blow the shankh in puja rituals & if you dont want to follow my advice then do as you believe. How many times we can blow this Sacred Conch in our home in evening during prayer..? is there any restriction for any time or frequency(no of times)..? Can coanch be blown in home at the time of pooja or otherwise? Can coanch be blown at home? Can we blow dakhshinavarti shankh? Very good information. But still there is a query in my mind. At what time can w blow conch? is there any regulations to blow it?